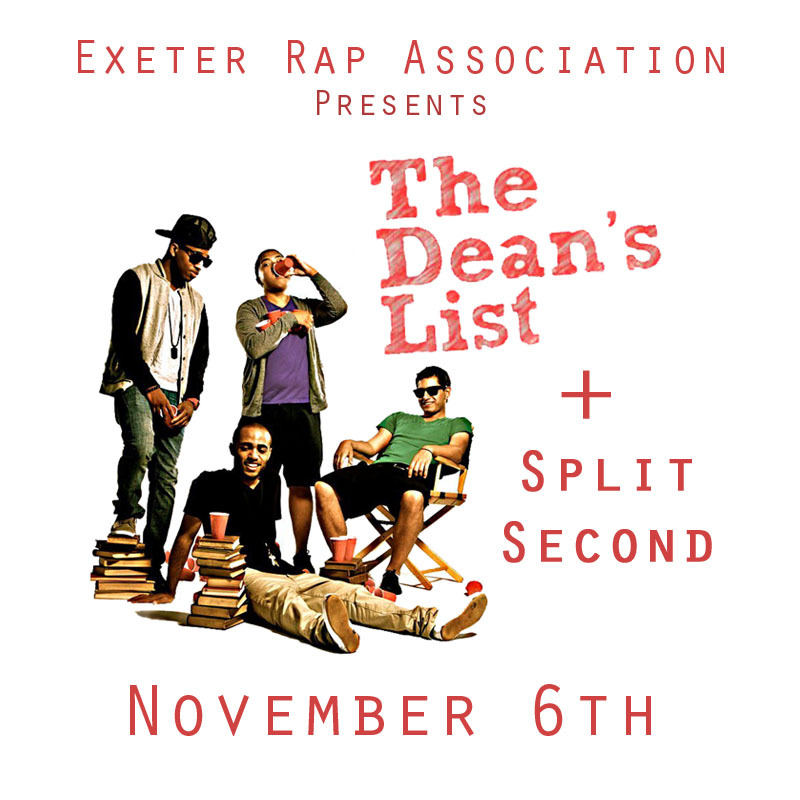 On Saturday, November 6th, ERA will be hosting The Dean’s List and Split Second. The concert will be held in Grainger Auditorium. Doors will open at 8:00pm and the concert will start at 8:30pm. The Dean’s List is a local group from Boston. Their debut project, Undeclared, has over 100,000 downloads! They’ve performed alongside artists such as Mike Posner, Chiddy Bang, XV, Hoodie Allen, Mac Miller, and Cory Gunz. Split Second is a group out of the Taft School in Connecticut. In 2009, they gained popularity on the internet by dropping their first mixtape, Up Past Lights. Sundress, the hit single off that tape garnered attention all around the internet with websites like Brobible, OnThatBeat, and FreshNewTracks taking notice. Their second mixtape, Polos and Solos, has gained them even more popularity. This entry was posted in Club News and tagged era concert, november 6, split second, the dean's list. Bookmark the permalink.